Nine 4-hour performances averaging fifteen acts each, fourteen hours of dances plus dance workshops, a Family Concert and 40+ hours of teaching workshops devoted to every imaginable folk music skill, plus jamming all week long should be enough to wear out even the most dedicated enthusiast at the annual Alaska Folk Festival. Yet long after the final chorus of Good Night Irene, the traditional closing song on the Festival's final evening, many of the 450+ folk musicians from all around the vast reaches of America's largest state and beyond can still summon enough energy to jam the night away in bars, restaurants, private parties and any space they can find out of the weather! They come from near and far. . . from Whitehorse in Canada's Yukon Territory, from Bethel, Alaska (more than 1,000 miles as the ptarmigan flies from the festival's home in Juneau), from Talkeetna, Sitka, Kenai, Elfin Cove, Fairbanks, Ketchikan, Anchorage and the "Lower 48" for this annual week of fun, partying, good music and greeting old & new friends that make it such a Rite of Spring. 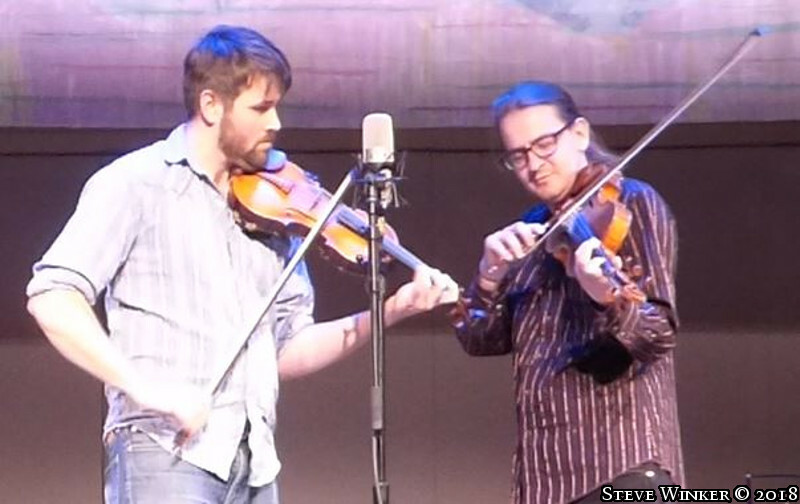 The Alaska Folk Festival was born on a cold winter evening in 1975 when a half dozen Juneau folk musicians decided to put on a performance in the Alaska State Museum and grandly announced it as the First Annual Southeast Alaska Folk Festival. Eight musicians and an audience of several hundred friends had so much fun that evening that it was obvious there would be more such festivals. Workshops were formed the following year so that specific skills could be passed on to other musicians, and almost 30 performers were on the program which was extended to 3 days. By 1977 the annual festival had become a regional event with over 50 performers from throughout Southeast Alaska adding their talents to those of Juneau's musicians. The concept of having a paid Guest Artist participate in the workshops and performances as an added benefit to the Alaskan musicians had its inauguration at the 3rd annual festival in 1977. The artist chosen was Merle Travis, a country and folk performer whose innovative guitar style (Travis picking) had been an inspiration to musicians for over 30 years. 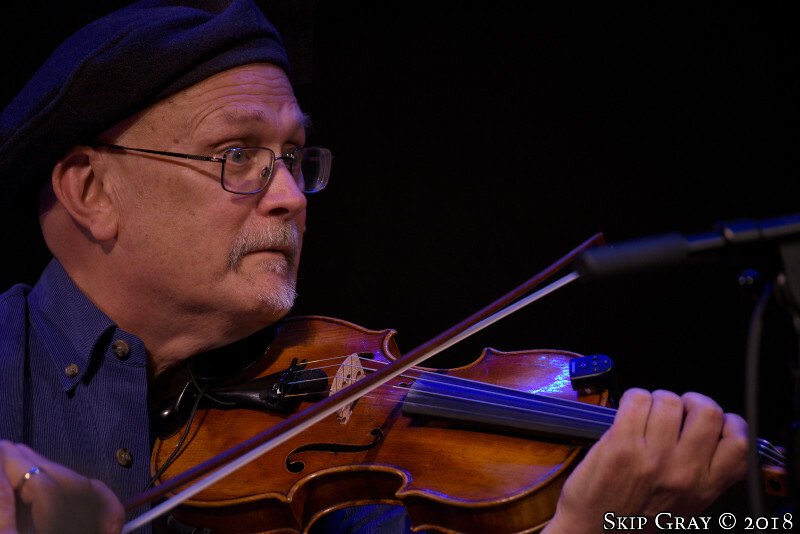 The idea proved to be an unqualified success, and the Guest Artist has since become an honored tradition of the Alaska Folk Festival. The principal role of the Guest Artist is to impart something of his/her/their musical style, heritage and culture through teaching workshops and jamming with Alaskan musicians. Since the Guest Artist is brought in primarily to broaden the musical horizons of the festival musicians, the selection policy has consistently been to seek artists with a long and distinguished background in presenting their style of music, who are either primary sources of a particular musical tradition, or (like Merle Travis) are widely recognized as outstanding innovators. In the early 80s the festival organizers created a membership supported non-profit corporation. Eager to maintain the concept of a living room jam, they established broad guidelines for future festivals so that the event would continue to be free of charge to all participants, a membership supported (open to everyone), all-volunteer effort with no paid staff (only the Guest Artist and Chief and Dance Sound Engineers and Guest Dance Caller are compensated), and free of star billings or competitions so as to encourage non-professional performers and the sharing of Alaska's most widely practiced art...home-made music. 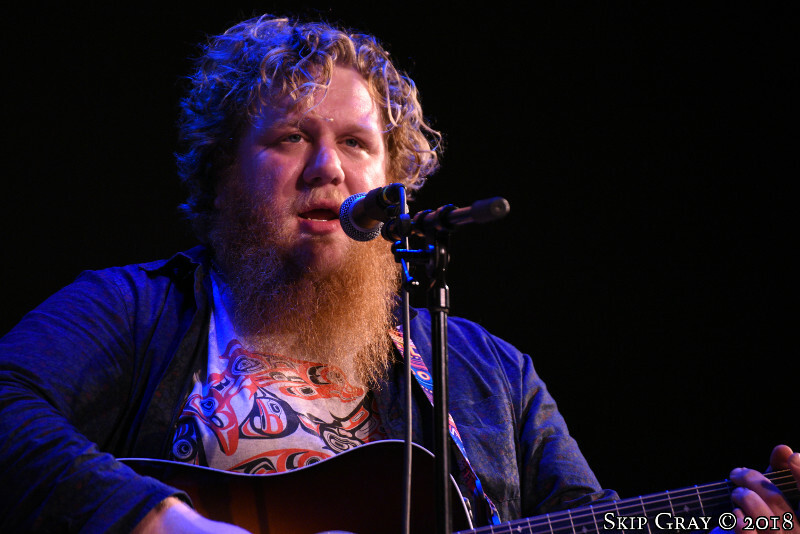 Alaska Folk Festival, Inc. plans, funds, schedules, organizes, manages and produces the annual event. Entirely free of charge for performers and audience alike, the Festival has become the largest cultural event annually held in Juneau, with participants & attendees numbering over 10,000 and thousands more in the radio audience -- and even the internet. KRNN-FM, Juneau's Public radio station, broadcasts all of the performances live. 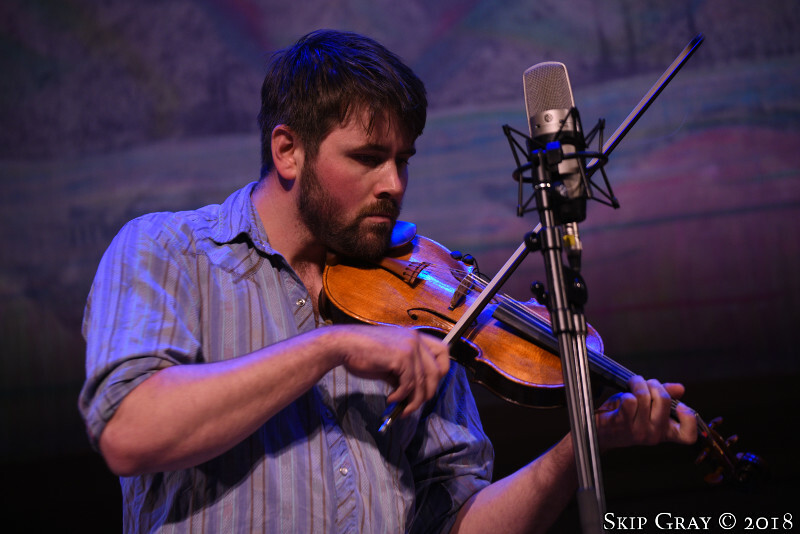 The 45th Annual ALASKA FOLK FESTIVAL takes place at Centennial Hall in Juneau from April 8-14, 2019. Performer applications go out by late January. Performance spots are open on a space available basis, no audition tapes. The evening performances all begin at 7 pm and run about 4 hours. The two weekend afternoon concerts begin at Noon. Weekend workshops take place from about 10 am until 4:30. There is usually a Family Concert on Saturday morning and three evening dances at nearby venues. 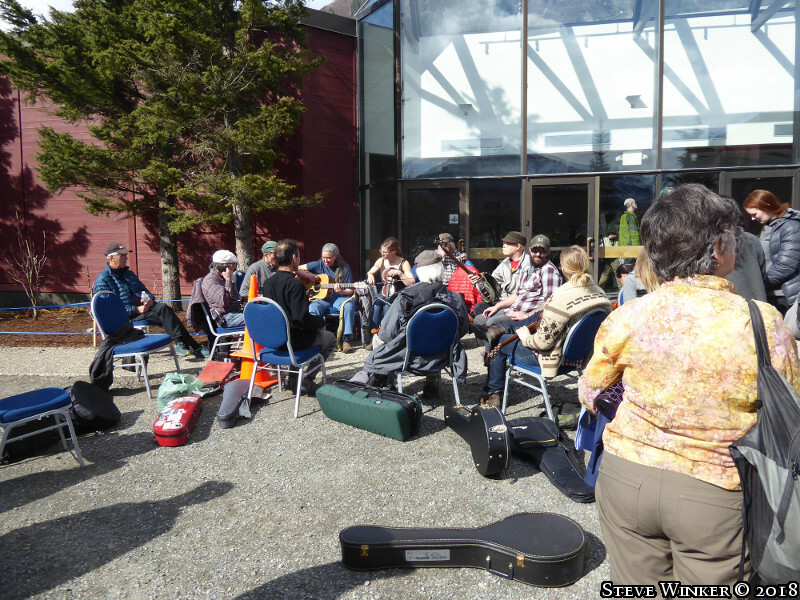 To all this, add innumerable parties, informal jams and other events all around Juneau; it's Alaska's largest folk music party.